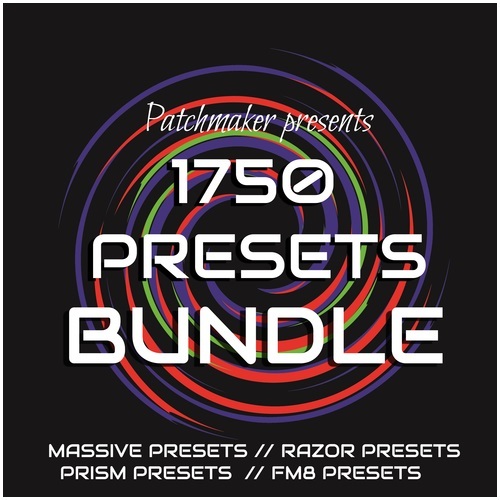 Patchmaker is excited to announce “1750 Presets:Native Instruments” bundle, an epic collection of high quality presets, for advanced music production. Expect to find future bass leads, trap basses, dubstep wobbles, bigroom brasses, beautiful ambient pads, sharp sound effects, drums and percussion and etc… this is an absolutely Any-Genre pack,that will took a lot of your time to explore this huge amount of presets, so prepare yourself to stay in the studio for a weeks! Grab the full bundle today and put some new inspiration and high quality sounds into your music! and PRISM pack that contains 250 presets for Native Instruments:PRISM! NOTE: You will need “REAKTOR” version 5 or higher or “REAKTOR PLAYER”, and “RAZOR” version 1.3 or higher to be able to use these presets. NOTE: You will need FM8 synthesizer version 1.3 or higher to be able to use these presets. NOTE: You will need Reaktor PRISM version 1.2 or higher to be able to use these presets.